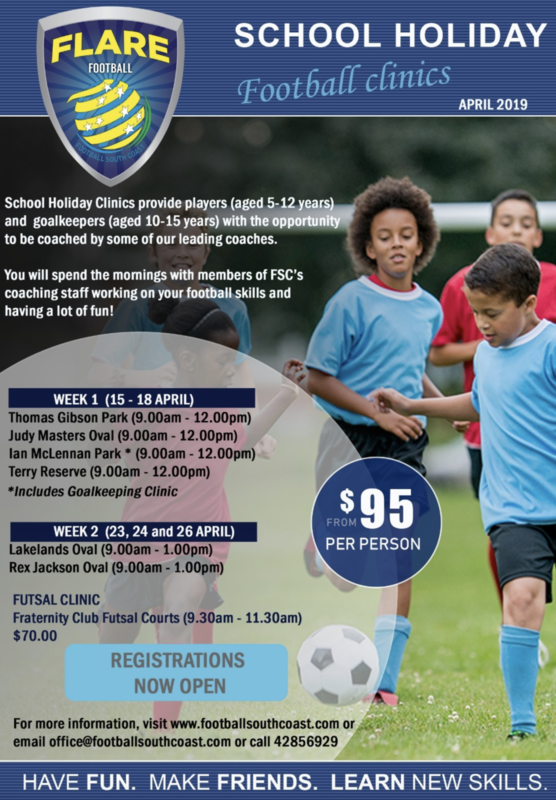 Football South Coast will run a Flare Football School Holiday Clinic at Gibson Park from Monday 15th April - Thursday 18th April. Flare Football offer a variety of development programs for our association community footballers all year round delivered by professional, accredited, experienced Football South Coast Coaches. The vision for everyone at Flare Football is to develop, improve and strengthen grassroots football in the Illawarra region by providing a variety of player development opportunities to meet the needs of our association football community.